My So-Called Sensory Life » Blog Archive » We are 3! Happy Blog Birthday! « Listen To Your Mother Providence! 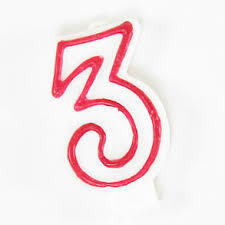 We are 3! Happy Blog Birthday! What they say is true: time flies when you are watching your baby grow up! In that spirit, today I want to celebrate My So-Called Sensory Life turning 3! Three years ago, on March 21, this blog was born. And she’s been good to me every day since the day I started blogging about the unexpected gifts of motherhood. I’ve lost count of the gifts I’ve blogged since those first 365 (in a row!) but I have experienced daily lessons and opened daily gifts every day since I started blogging. Today’s gift: this blog. My So-Called Sensory Life. Blogging has changed my life and my world. I’m so grateful and happy to have you here to witness how MSCSL grows and changes. Here’s to celebrating the unexpected! This entry was posted on Thursday, March 21st, 2013 at 5:38 pm	and is filed under Blog Posts. You can follow any responses to this entry through the RSS 2.0 feed. You can leave a response, or trackback from your own site.